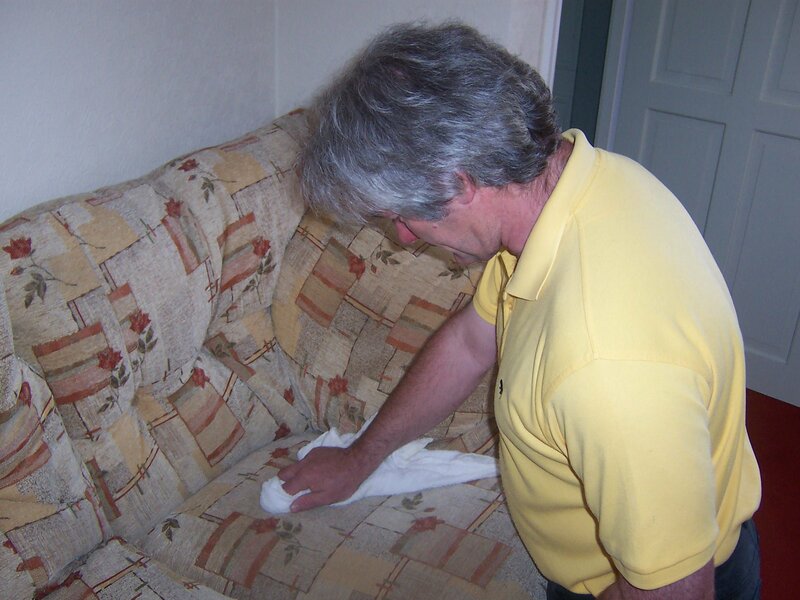 No matter what type of upholstery fabric you choose, at some time in its eventful life, it will require cleaning. Some more frequently than others. Soft furnishings are perhaps one of the largest cash investments in most households, ranking certainly within the top five items, such as the family car, carpets, new kitchen, new bathroom fittings. 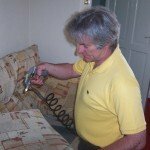 Regular cleaning and regular consumer maintenance will extend the life of the delicate upholstery fabrics significantly, as well as keeping them looking good. 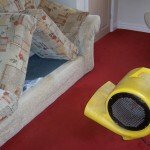 The proceedure we use to clean your upholstery is described below. 1. VACUUMING. 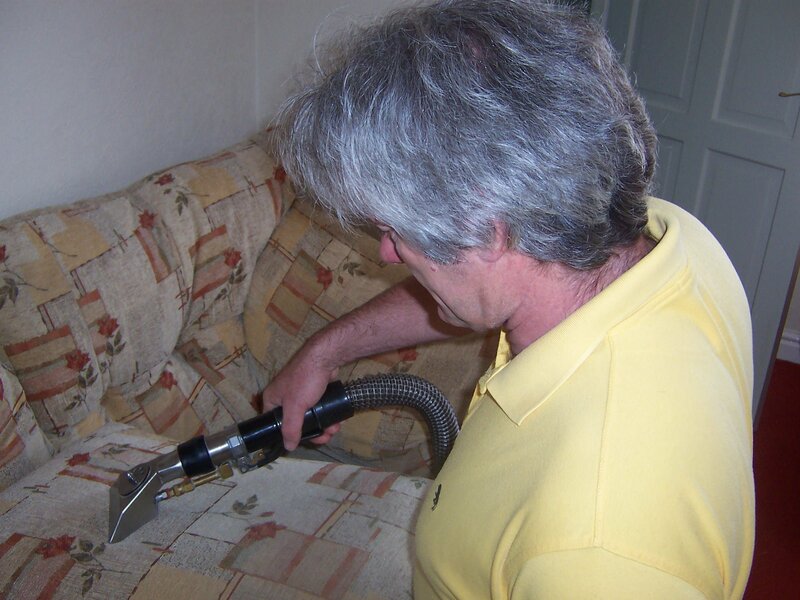 First we vacuum to remove all dust and grit tapped in the pile or in any cervices in the upholstery. A soft brush will sometimes be used to open up the pile where it has been matted to assist in dust removal. 3. HEAVY-DUTY PRE-SPRAY. 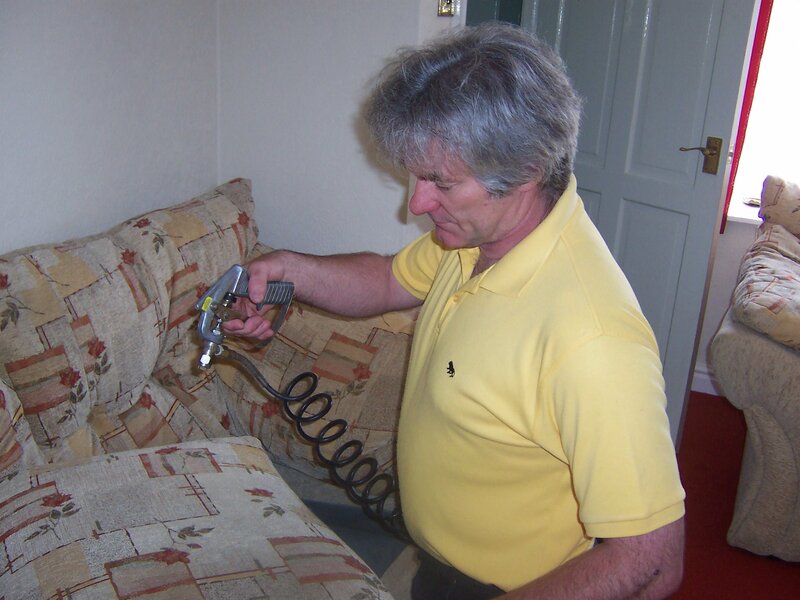 Next we will apply a heavy-duty pre-spray specially designed to electro-mechanically lift oily dirts and pollutants from your upholstery fibres and suspend them floating in an aqueous solution ready to be quickly and safely extracted using our state-of-the-art extraction machines. 4. AGITATION Once the pre-spray has been applied a soft hand brush is used to help the pre-spray break down the soiling. 5. TRUCK-MOUNTED HIGH-PRESSURE HOT WATER EXTRACTION MACHINE. 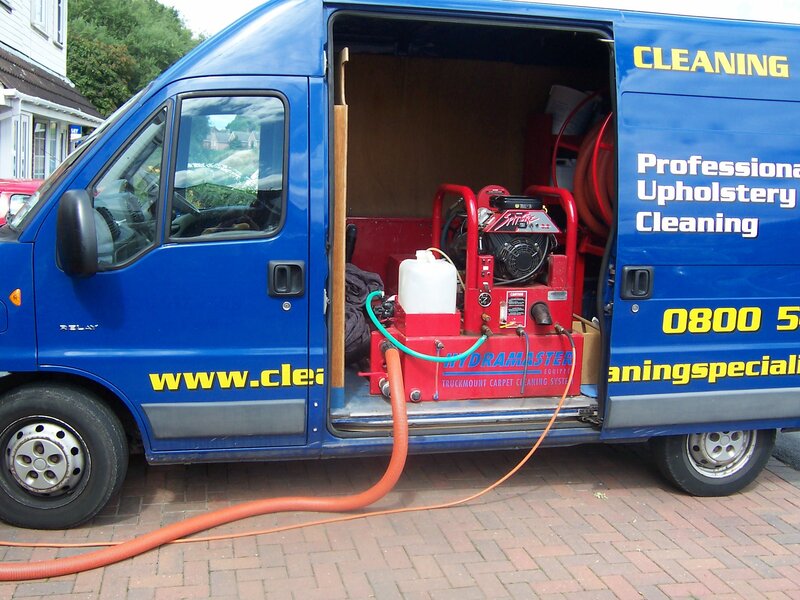 Now for the machine we use to thoroughly clean and rinse your upholstery. 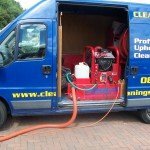 The truck-mounted, high pressure hot water extraction unit we use cleans much better because it heats water to a high temperature and then shoots the cleaning solution into the upholstery fibres at high pressure. 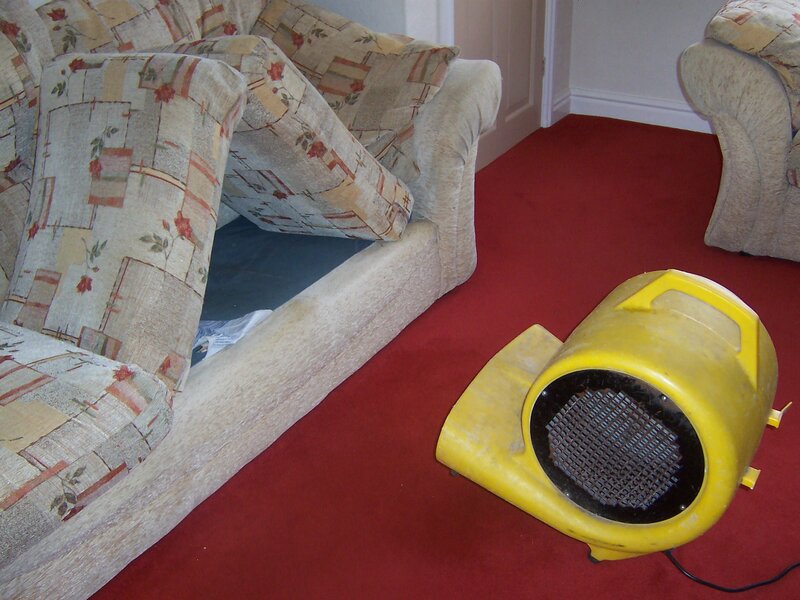 This helps to break up the dirt, bacteria and pollens in the carpet. 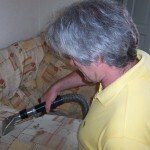 The machine then produces a huge vacuum volume to draw the dirt and chemicals out of your upholstery. 7. GROOMING. 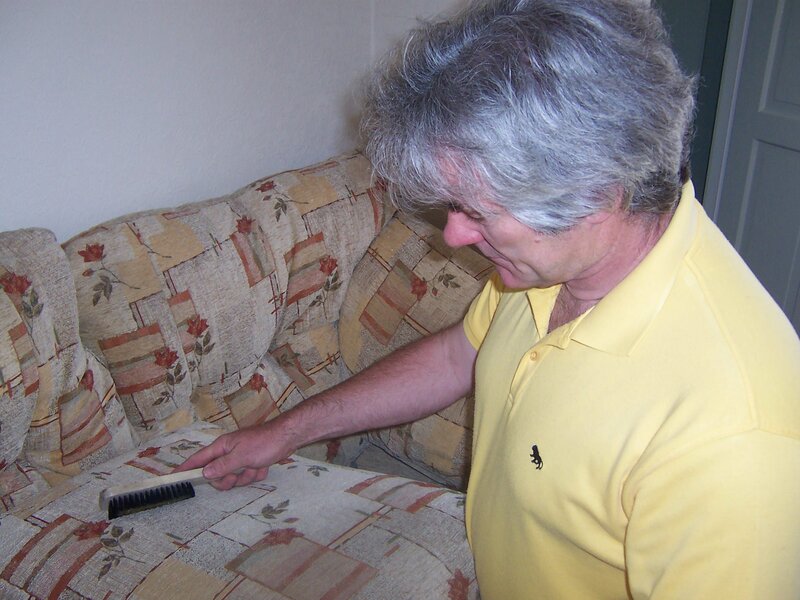 Where, appropriate we will groom your upholstery to leave it in best possible condition. 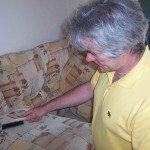 This usually means we run an upholstery brush over the pile to ensure the fibres are tangle-free and ‘fluffy’ as possible. 8. DRYING. 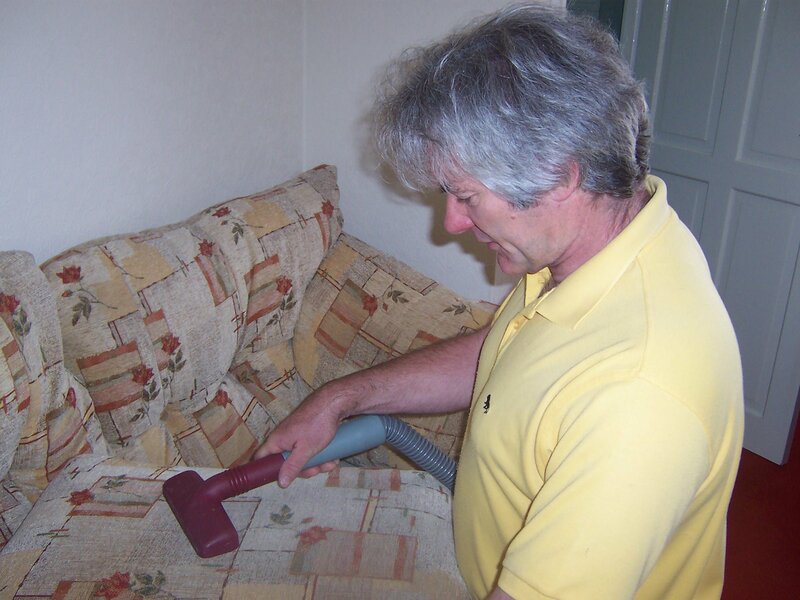 Finally, we’ll use special dryers to rapidly dry your soft furnishings so that you can use them quicker than normal. 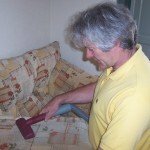 If you would like a estimate over the phone please be sure to have full details of the upholstery you are thinking of having cleaned so that we may be able to help you or if you would like to us to visit you to discuss your requirements in person we are happy to do this and provide you with a no-obligation quotation.